Harris Silicones RTV Silicone Sealants are the #1 Silicone Sealants in Pakistan. Having a history over over 30 years, formulated with German collaboration to deliver a premium product, manufactured on international standards. Harris RTV Silicones are available throughout Pakistan, as well as in international markets. Packaging sizes are available between 20ml upto 600ml, and come in a variety of different colors. Harris RTV Silicones have been used in several industries including automotive, construction, industrial assembly and more. 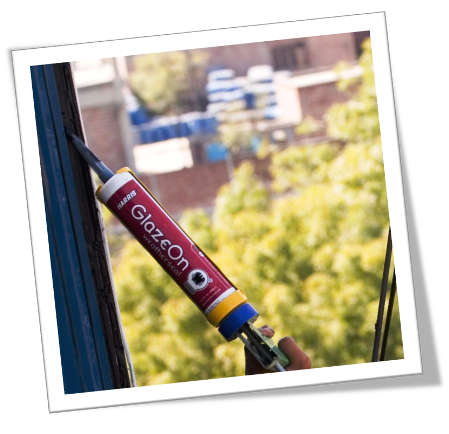 GlazeOn is a neutral cure silicone sealant, widely used in the construction industry for filling & sealing. This is a high quality product that guarantees good flexibility, excellent adhesion to various substrates including glass, aluminum, rubbers & most plastics. It is also non-corrosive. GlazeOn silicone sealants are formulated with the highest quality European raw materials, and are suitable for both indoor & outdoor application, as well as industrial applications. 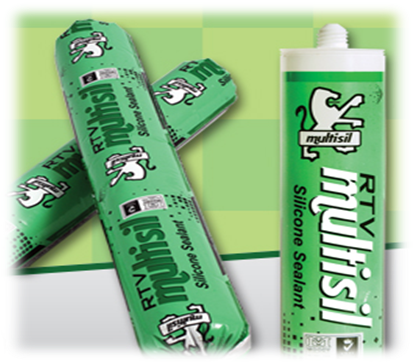 RTV MultiSil Silicone Sealantsare a more economical option to Harris RTV Silicones.They provide a silicone for general purpose sealing & filling, and are primarily for applications where cost is a factor, or for indoor sealing. 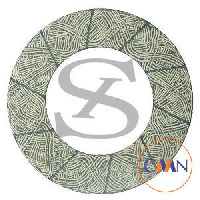 If any technical support is required regarding the application of silicone sealants, or choosing the right sealant for the right application, please get in touch with us. We will be happy to answer your questions. Farooq Industrial Estate Anam Road, 20 Km Ferozepur Road, Lahore.